The National Transportation Safety Board has recommended lowering the legal limit on blood alcohol content for drivers. NH DUI attorney John Tenn says the measure may not be an effective way to help save lives. MANCHESTER, NH – SAFETY officials have recommended tightening drunk driving standards. Earlier this month, the National Transportation Safety Board (NTSB) voted to recommend that blood alcohol content (BAC) limits for drivers be more stringent. Currently, all 50 states have adopted a BAC limit of .08%. BAC – whether measured by breathalyzers or blood tests – is a common way to determine whether a driver is impaired. The NTSB suggests that states tighten that limit to .05% – a level that would preclude many adults from driving after even a single drink. NH DUI attorney John Tenn, whose criminal practice primarily involves DUI defense, says that the proposed measure may not have the intended effect of saving lives. Tenn notes that even Mothers Against Drunk Driving founder Candace Lightner, who led the national campaign in the 1980′s to crack down on drunk driving after her daughter was killed in an alcohol-induced accident, questions the effectiveness of the proposal.” Lightner sees the most significant highway safety issues as high-BAC drunk driving, drugged driving and distracted driving. 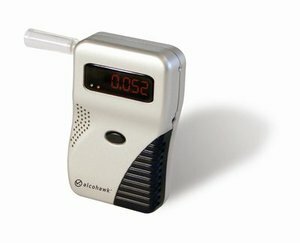 Lowering the BAC limit will likely flood the courts with flimsy DUI cases. According to Tenn, drivers with a BAC level of less than .08 BAC are even likely to pass Standardized Field tests, causing further doubt as to whether they were actually impaired. “I would like to see a court system that focuses on prosecuting real criminals and not casual drinkers,” Tenn said.